When Education Loan Affidavit is required? Eleanor Roosevelt famously said that education is essential to good citizenship and that education is important to life because it enables people to contribute to their community and their country with their Knowledge. Many Banks offer Education Loan as a financial support for Students so that they can pursue their goals. 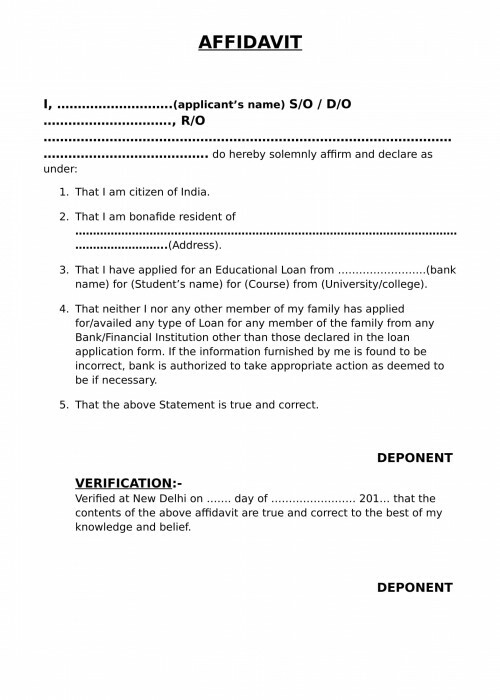 While applying for Education Loan, Banks ask for an Affidavit declaring and affirming few Statements. 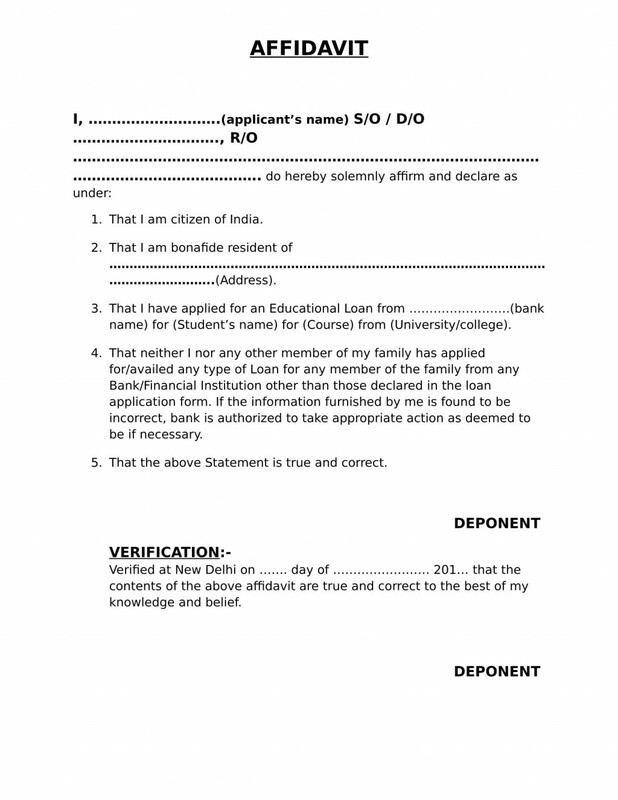 How to create Education Loan Affidavit? Draft the Affidavit affirming few statements and execute it on a relevant Stamp Paper. Place the Signature and make it Attest from Notary Public. That’s it! Provide the Affidavit to the concerned authority. Just fill the above provided Form and we will carry out the above said process on your behalf and will deliver the affidavit right at your place. What kind of Statements Deponent affirm in Education Loan Affidavit? Details about the Student Name, Course and College/University. Affirming Statement that none of the Family member have applied for Loan from any Bank OR Institution. What amount of Stamp Paper should we use for Education Loan Affidavit? 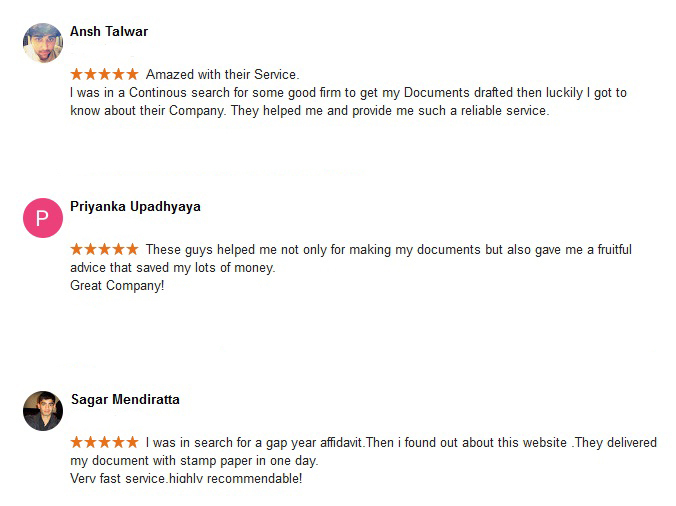 The commonly used and also the Stamp Duty fixed by the Government for Affidavit is Rs. 10/-. So, if no such instructions provided by the authorities about the Stamp Paper then you can draft the Affidavit on Rs. 10/- Stamp paper. It will be valid as per Government. Yes, you will get the fully drafted and ready to use affidavit duly executed on a relevant stamp paper. You don’t have to visit to the court, you can directly provide this affidavit to your Bank/Authorities from where you are seeking for Education Loan. It will be legally valid.